When you are young and someone mentions the word “grounding,” it typically makes you feel uneasy. No young child wants to hear that word. As an adult, however, the word grounding has a whole new meaning. Grounding, or Earthing as they commonly call it, is a practice that puts your body in direct contact with the earth. Contact may include dirt, sand, water, and other conductive surfaces that connect with the earth. Understanding why it is important to have contact with the earth, what benefits it offers, and how to do it can assist you in figuring out if it is right for you. Earthing is a practice that many believe creates a neutral balance between positive and negative ions in your body. Whether you realize it or not, there are ions all around you, many of which contain a positive charge. Although the word positive may sound good, that is not the case with positive ions. The world around you disconnects you from the earth. For instance, your work environment likely consists of an office or factory space with a technological device or piece of machinery in front of you. There is usually a lack of conductive surfaces connecting you to the earth. Instead, you sit under the annoying buzz of an overhead fluorescent light in an uncomfortable chair while staring at the bland walls of your office space. Despite the negativity of the scene described, the air surrounding that scene contains positively charged ions. Even when you are outside, you are constantly surrounded by positive ions because of high winds, pollution, and humidity. The level of positive ions in the air will charge up and increase just before a storm, too. Some experts believe that people with asthma experience increased asthma symptoms before a storm because of the charged positive ions in the air. Using advanced research, one man explored the impact of positive ions on respiratory complications, including asthma. Throughout the research, he discovered that a doctor used negative ions to treat burn victims, and the negative ions helped to improve their breathing functions. Earthing is said to connect you to the surface of the earth, which contains negative ions. By adding negative ions to your surroundings, many believe that you can bring your body back to a neutral state of balanced positive and negative ions. It is said that Earthing can improve your mood, decrease anxiety and depression, and improve your breathing. Simply improving your breathing is enough to provide a better outcome from your health. Maintained and healthy breathing functions promote better blood flow through your body, which in turn improves heart and brain functioning. Therefore, exposure to negative ions to balance out a buildup of too many positive ions may very well improve your health based on various research. If you have never participated in Earthing before, it is not hard to do. You can practice Earthing both indoors and outdoors. For practice indoors, you need an Earthing mat. Of course, you must choose the right Earthing mat to experience results. The best Earthing mat will consist of a conductive material that charges with negative ions. Typically, the Earthing device plugs into a standard three-prong outlet, thus providing a static electric charge of negative ions. You then rest your bare feet on the mat to ground yourself and charge your body with negative ions. Finding an Earthing mat that works will also depend on how you plan to use it. You can buy a smaller mat that fits under your desk, or a larger mat that you can use during meditation and yoga sessions. Combining a mat for Earth Therapy with a practice like meditation and yoga will provide you with a mind and body connecting experience. Make sure that you pay attention to the material of the mat to make sure it consists of a good conductive material. Some come with elements of silver and others use a highly conductive rubber material. Anytime you use an Earthing mat, make sure you use your bare feet. Do not wear socks, shoes, or any other material that might interrupt the Earthing process. If you use a larger mat during meditation or yoga sessions, wear minimal clothing so the surface of your skin can connect with the mat as much as possible. If you plan on practicing Earthing outdoors, the method is simple. Place your bare feet in a body of water, such as the ocean, a pond, or a lake. If you live near a beach, go and bury your bare feet and toes in the sand. For best results, lie in the sand and draw it up around your arms, legs, and feet. When you practice Earthing, make sure you relax yourself. Close your eyes and breathe deeply. The goal is to feel as connected with the earth as possible. Imagine that you are breathing in good energy with each inhale, and breathe out bad energy with each exhale. Allow the feeling of the earth under your feet or on your skin to soothe you. What About the Negative Hype? There is always hype surrounding any new practice that supposedly contributes to increased wellness, and natural methods seem to face criticism in particular. There are many sources that attempt to prove that natural methods do not work, however there is scientific evidence that supports the use of negative ions for various health conditions, including respiratory distress. Many people place ion air filters in their rooms and then discuss the benefits they experience to their overall mood and their ability to breathe. An ion filter pulls air in and blows it out after it passes over a wiring system that charges the released air with negative ions. Therefore, the idea that people can charge their body with negative ions by connecting with the surface of the earth is not hard to imagine. You can even manage to connect with the earth by sprawling out on your lawn and feeling the grass and dirt on your skin. That is not to say, of course, that you should not seek the help of a professional if you experience respiratory issues, mental health issues, or anything else that might affect your health. However, using Earthing in conjunction with other practices recommended by your doctor may bring about active improvements to your overall health. 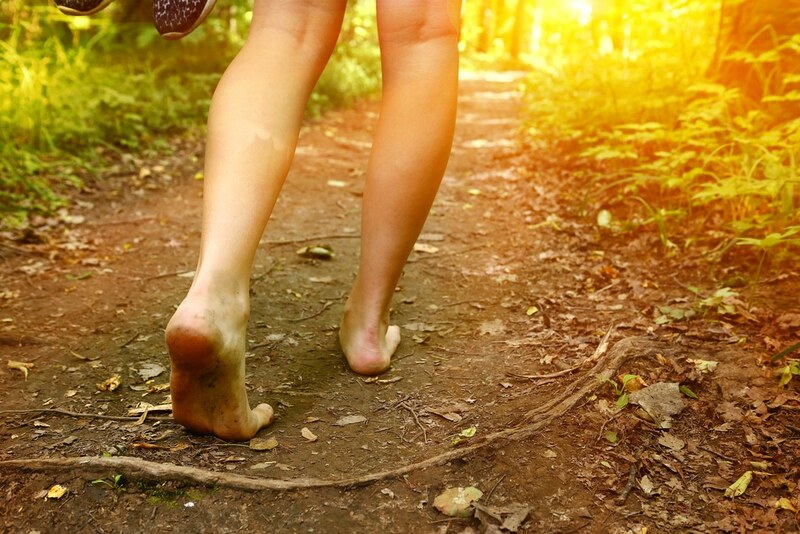 As further proof that Earthing offers benefits and that it is not just a hyped-up trend, one research report studied the impact of Earthing on muscle damage. Men participated in quad exercises, some of which received grounding and others who did not. All of the men who participated experienced equal levels of soreness afterward, but the men who participated in grounding seemed to reduce muscle damage and even seemed to increase healing afterward compared to the men who did not undergo Earthing practices. Earthing is a practice that anyone can use as it is simple and has almost no physical demands. In fact, Earthing promotes relaxation, which many find beneficial. No matter your age, weight, or gender, you can participate in Earthing. If you suffer from mobility issues, you might fare better with an indoor grounding mat, or ask someone to assist you outside so you can sit in the grass or plant your feet on the ground. Make sure you dig your toes around in the dirt if possible to gain the full effect of Earthing. Even children can participate in Earthing. If you decide to practice Earthing in or near a body of water, you will need to pay close attention to children. Make sure you wear proper floatation devices to avoid any unnecessary accidents when practicing Earthing in or near a body of water. If you need help with Earthing, there are several support groups available that can explain different practices to you and what they can do to help. As the Earthing trend continues to increase, you may even find people near you who participate in the activity. You can pair up together and head out to appreciate nature and the negative ions it provides your body. You may not realize it, but enjoying natural surroundings can improve your health in many ways beyond what research has shown about negative ions. Exposure to the sun, exposing yourself to the sound of running water, or simply digging your toes or fingers in the dirt and sand can greatly improve your mood. Make sure you find ways to open your mind and spirit to the idea of becoming one with nature and you may experience an increase in the benefits of Earthing. Earthing is something that promotes living in alignment with nature to the fullest, so the key is to draw on that, let it soak into your body, and enjoy it for what it is. The deeper you draw yourself into the experience, the better it will be.